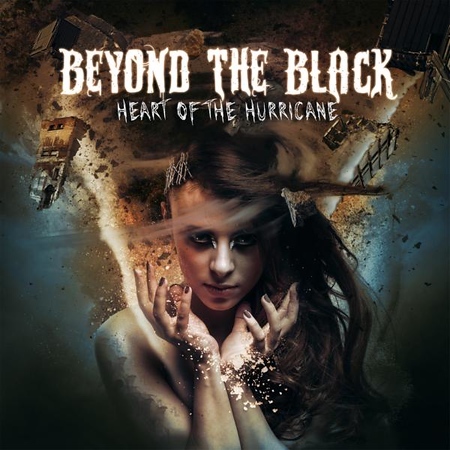 “Heart of the Hurricane” is the third album from German symphonic metal band Beyond The Black and it was released by Napalm Records on 31st August. Normally my recommendations are for albums that have been sent to us by the record labels or bands, but sometimes they are for albums that I’ve purchased myself and I just want to post something to acknowledge how good they are! That is definitely the case with “Heart of the Hurricane” as I bought the gold vinyl version as well as downloading it from iTunes. Napalm Records did send us the three singles released so far and these have been played extensively on the Friday NI Rocks Show recently. The 400th episode of the Show on 24th August featured an interview with the band’s lead singer Jennifer Haben - http://www.rockradioni.co.uk/interviews/3427-ni-rocks-interview-with-jennifer-haben-from-beyond-the-black.html and the Show this week includes the track “Song for The Godless”. Beyond The Black formed in 2014 and released their debut album “Songs of Love And Death” the following year and then “Lost In Forever” in 2016. Later in 2016 lead singer Jennifer Haben and the remainder of the band parted ways and she had to start from scratch with a whole new line-up. The title of the new album is a reflection of the that turbulent period and how the band has re-emerged with a renewed focus and drive. I had only discovered the band last year when Kobra Paige mentioned them during an interview as they were about to go on tour with Kobra and the Lotus. The new Beyond The Black line-up features Jennifer Haben on vocals, Christian Hemsdörfer and Tobias Lodes on guitars and backing vocals, Stefan Herkenhoff on bass and Kai Tschierschky on drums.